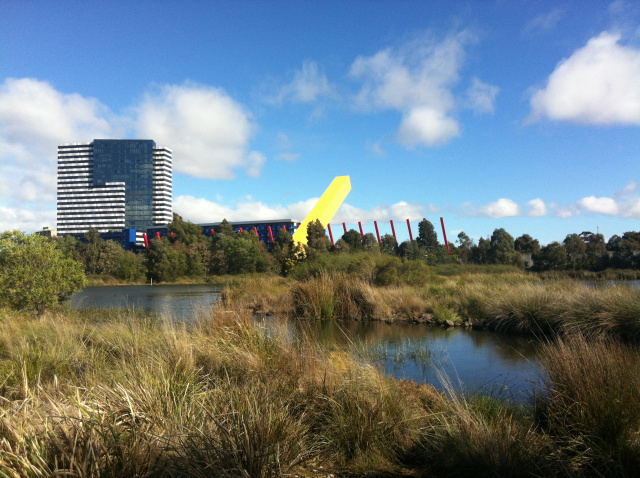 The key feature of the proposed alternative design is its protection of Royal Park. Under the reference design from the Linking Melbourne Authority, up to 7% of the trees in the entire City of Melbourne would be destroyed. This alternative design leaves Royal Park untouched. Also within the affected Royal Park area is the White Skink reserve which is considered to be of high regional significance as it is one of the few habitats remaining within the Greater Melbourne area. The Trin Warren Tam-Boore wetlands would, under the reference design, be completely overshadowed and overpowered by the elevated road network passing over them. In the alternative proposal, the Moonee Ponds Creek in Arden Macaulay would be improved with an environmental clean up, additional parkland to the west, landscape works and new vegetation as part of a renewed, vibrant, green space for the community. The Better Design proposal respects the Melbourne City Council’s Arden Macaulay structure plan which requires the improvement, not the further degradation, of the Moonee Ponds Creek. In the alternative proposal, the new viaduct runs on the east side of the existing Citylink viaduct over the renewed land and vacant land. The reference design shows this new viaduct running over the western bank of the Creek. Click here to see more about how the design is better for the community.